Welcome to another weekly post about famous Seiyus , anime voice actors. This is just a fun little post that will hopefully surprise you to see who does the voices of your favorite characters and you might find out it's the same person for a bunch of them. This week's Seiyu is Mamoru Miyano. Mamoru was born June 8th 1983 in Saitama, Japan. 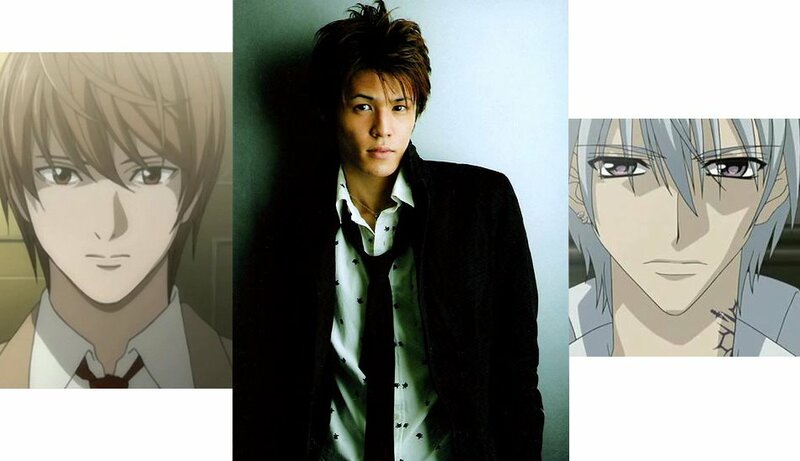 He is most famous for doing the voice of Light Yagami in Death Note. Light isn't his only very popular voice though. He was also the voice of Tamaki Suou from Host Club and you can currently hear him as the voice of the fan-girl favorite, Zero Kiryu from Vampire Knight. He's also a popular video-game seiyu as he is the voice of Kingdom Heart's Riku. Recently he's also been working closely with game developer Koei on some of their recent projects with a role in Kiniro no Corda already under his belt. Fan-girls will get ticked if I also don't mention the fact that he played Renji Yanagi in the Prince of Tennis Live Action Film. It's no surprise with such title roles he was nominated in Japan's Seiyu awards for his role as Light Yagami. This role did recently give him the award for best actor at the 2008 Tokyo International Anime Fair. Click here to see more info on him via wikipedia of course. So he's Kiryu-san's voice. I like Zero very much. Mamoru Miyano is indeed a great dubber.